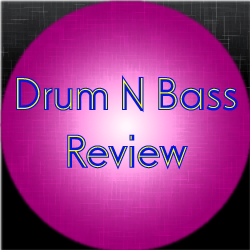 This review covers the liquid drum n bass track Priority One & TwoThirds Feat. Jonny Rose ‎- Hunted. This track was released in 2015 as a single. It is also available for free streaming by the label. The track starts off with a synth melody and vocals right away. A sweep helps initiate the build-up, bolstered by some chord synth. There is some chopped vocals before the drum kit comes in. The vocals then goes into verse and then a main chorus. After that, the drop hits with only a synth chord and some chopped vocals. The track builds up in a similar fashion to what was heard in the beginning. At that point, the vocals go into verse and main chorus again. There is some small effects as well as some grungy bassline. After that, the track fades off somewhat abruptly. Probably the biggest strength in this track is the vocals. They bring so much to the table in this track. What’s great here is that this track is very vocal heavy, so it’s not shy about showing off its greatest strengths. The smaller melodies that appear here and there do help strengthen the track. While they make the track better, they aren’t a huge part of the overall track. The bassline is OK. It’s nothing huge, but it isn’t bad either. What I will say is that the sudden cut-off at the end does weaken this track a bit. It makes it seem a little cheaper than it really is. I was hoping for something more that would wrap the track up nicely, but that isn’t found here. Generally speaking, this is a pretty solid track. It has great vocals and some nicely done backing melodies. While the track getting cut off at the end doesn’t help this track, there is still plenty to enjoy here. Certainly a respectable effort worth listening to.